The scope of technology use continues to expand in our daily life, but even more so for businesses across industries. By today’s standards, your IT network becomes the backbone of your business. For one, nearly every department in your organization needs a well-maintained computer system in its operations, which makes IT support services an indispensable business component. A strong IT system also reflects your organization’s capability to deliver automated services to your customers in a timely and consistent manner. The nature of technology, however, is quite complex. It can solve problems in the context of how people perform their tasks, but at the same time, technology also becomes a precursor of risks. Statistics reveal that in 2016, approximately 65 percent of companies participating in a survey admitted to encountering security incidents that mostly involved malware and human error. It’s also alarming to note that there was an average of 4,000 ransomware attacks that occurred each day from the last year. All these points considered, there’s an urgent need for you to keep your IT infrastructure free from security vulnerabilities that might disrupt the flow and growth of your business. Here’s an in-depth review of common IT mistakes to avoid and how managing your IT security services better can benefit your organization overall. Electronic records and digital files are slowly taking over manual documentation, but are you storing backups well enough? In the United States, it is reported that 14,000 hard drives experience data loss each week. Not having backups for your data can be a very costly mistake that can set your business back by hundreds of thousands of money. Security threats may either be external or internal. For the former, the most common types of threats include hacking, viruses, botnets, backdoor programs, and even natural disasters. Internal threats may come from your employees, ex-employees, or third-party service providers. For example, by allowing your employees to bring and use their devices at work, you might be compromising the integrity of your system network. Technologies are continuously evolving, but your IT support services might still be relying on the traditional break-fix solution. You need to devote a good amount of time revisiting your IT security model and enhance it with newer, more efficient security software products and services. IT support is very crucial given the enormity of data that has shaped our digital environment over the past decade. Your IT support services staff can help you ensure that no files get lost, damaged, or compromised as they get past through various channels. Technical issues may be hard to eliminate, but their damaging effects can be kept to a minimum. 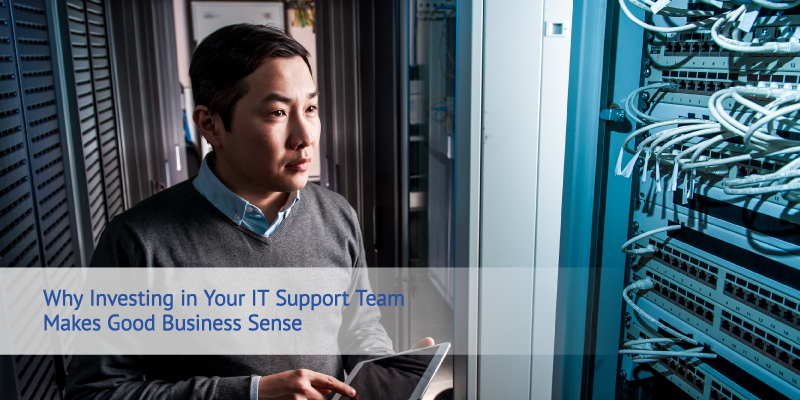 Your IT support can serve as troubleshooters who can identify the problem and counteract it with appropriate solutions. The goal of IT support is to make sure that your systems are always online, accessible, and responsive to your business as well as your clients. Your business has a responsibility to protect your customers’ and employees’ information from any unauthorized use. Through your IT specialists, you can keep track of who accesses your company or customer information and prevent any data leakage outside of your organization. It’s also upon your IT support department to ensure the security of your servers, firewalls, and remote technologies within your infrastructure. In serving your clients through computer generated software, it’s highly imperative that your system is up and running all the time. Customers today are not willing to wait to be served. That’s why you need IT support services to prevent any interruptions that might be caused by software bugs and which could cost your business losses in revenue. Your IT experts should possess the ability to keep things under control. Their mindset is one that anticipates future problems and makes a plan to reduce the likelihood of those problems from occurring. Puts your needs first – They should understand the importance of prioritizing the company’s business needs and goals at any given time and is committed to getting the work done even without supervision. Someone who makes something as complicated as technology even more confusing is not going to help you in establishing a positive relationship with your customers. Your IT specialists should be able to use simple and easy-to-understand language when explaining how your products or services work. There’s a lot of pressure in the IT department, but this should not discourage or stall your IT team from working at optimum levels. An ideal member of your IT support team is someone who commits to following deadlines and can find alternative solutions to the most pressing problems to ensure that business deliverables reach the users on time. There’s been an endless debate which is the better choice for businesses, whether to outsource their IT support services or to retain an in-house IT support team. You can save more through outsourcing than keeping an in-house IT help desk as you’ll have to consider the overhead expenses of your staff. Most outsourced IT companies offer cost-effective package services that fit the level of support your business needs, so you don’t have to worry about the system not working for your organization. Figari’s IT services have been helping companies manage their back-office functions through hardware and software management and reliable security services, among others. Our teams at Figari understand that you need business solutions that are not only affordable but also give you greater flexibility and focus on your core business. By helping you overcome this challenge, we are also able to gain the affirmation that adequate IT support needs to be a part of any critical business strategy. Jen spent eight years in real estate, with six years in commercial leasing and facility management. 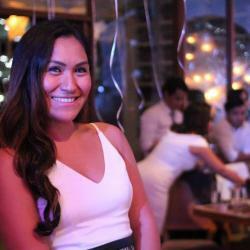 She is now the leasing director of Figari handling leasing and business development. Her charisma and dynamic attitude certainly make her the life of the party. In her free time, she enjoys going to the beach and getting a tan.